When you plan a party, the food and entertainment options are likely to be foremost on your mind. But for everyone to have a truly enjoyable and comfortable time, it’s important to focus on bathroom planning as well. Having a few porta-potties on the property can sometimes be the difference between a frustrating gathering and a successful party. 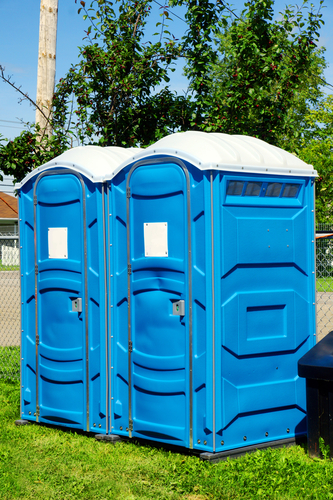 Here are three benefits that come with portable toilets. When there is only one bathroom for many party guests, it will create a logjam in front of the room. A long wait means guests will be unhappy and distracted, in addition to clogging hallways in your home. Moreover, that situation puts a lot of pressure on one or two bathrooms — if a toilet malfunctions or gets clogged, there is no backup plan! Having porta-potties disperses that traffic so whenever someone needs to go, they can without delay. It’s not always easy to spot a bathroom at a party for gue sts who’ve never been to the location before. If the event is at your home, you may not want visitors wandering accidentally into your bedroom or other private areas. By setting up a few porta-potties, you create a clear signal of where the restrooms are so that no one will get lost. Bathrooms tend to be highly personal places, filled with different medicines, creams, and other essentials. For many people, it’s not desirable that a partygoer has access to their medicine cabinet. To bypass that potential awkwardness, you can make your personal bathroom off limits and direct guests to the portable toilets. That way, you won’t have to scour the cabinet and store items in another room. Serving Trenton, OH, and the surrounding areas, Johnny’s A-1 Sanitation has earned a reputation as the region’s top supplier of portable toilets. Their porta-potty rental service is known for reliability and quality. To reserve a few units for your next gathering, just call (513) 988-5880. Learn more about this porta-potty company by visiting their website.